“Well let me start by saying, I suppose I am lucky that throughout my police career I served in three police forces, without leaving Oxford. Let me explain… on 1st January 1968, Thames Valley Constabulary was formed, amalgamating five police forces: Oxfordshire, Buckinghamshire, Berkshire, Reading Borough and of course my own force, Oxford City Police. This new force became the 6th largest police force out of the total 43 forces in the whole of England and Wales (Scotland have their own). I had joined the Oxford City Police as a police cadet straight from school, and on the 22nd December 1967, I became police constable 232 of The Oxford City Police. I would have been promoted up to a constable sooner, but a Magistrate friend of the family virtually demanded that it would be a huge honour if I swore my oath in her presence, which of course I did. I then collected my new uniform from the stores and because I couldn’t go out on to the streets of Oxford until I had done my training, I remained in St Aldates Police Station. At this stage the new Thames Valley Police Force was huge, covering from Windsor to Newbury and Reading to Milton Keynes, with its Headquarters being based at Kidlington. 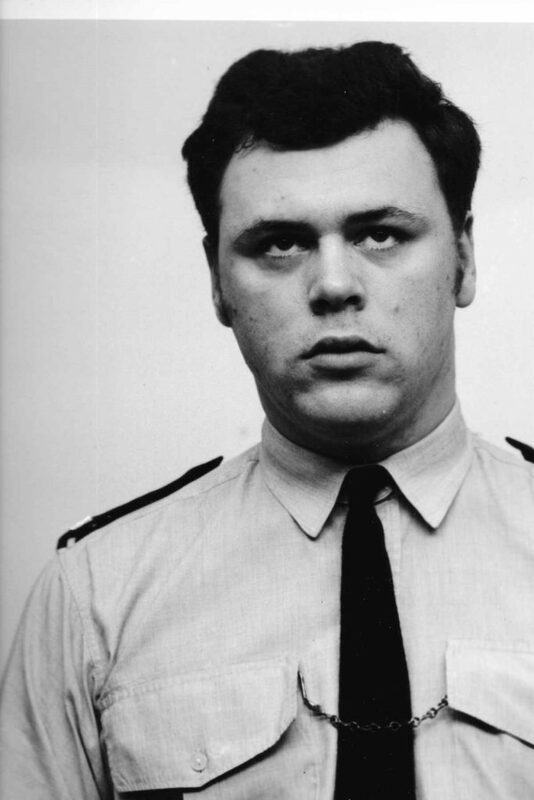 In January 1968, I enrolled at The Police District Training School at Eynsham Hall and did three months of marching, keeping fit, self defence and learning the law. My first few weeks were spent going on patrol alongside a tutor constable, who was there to show me the ropes. During that month in April, I had myself been assaulted (the assailant received 6 months), dealt with various crimes of all sorts, arrested and charged a man with burglary in the Covered Market and attended my first sudden death.